Biliran is an island province located north of Leyte, about 123 kilometers from Tacloban City. It was formerly a sub-province of Leyte until it was converted into a province in 1992. With a total land area of 555.4 square kilometers, Biliran is the fourth smallest province in the Philippines. It is composed of two major islands, Biliran and Maripipi Islands. Other islands include Higatangan and the inhabited Dalutan islands. From Manila, I took a mid-day flight to Tacloban City, the "Gateway to Eastern Visayas". From the airport, I took a jeepney going to downtown and alighted at Van-Van's transport terminal (60 PHP). Alongside with Duptours, Van-Van's is one of the major transport services in Eastern Visayas. They offer passenger shuttle services from Tacloban to as far as Maasin City, Southern Leyte in the south, Borongan, Eastern Samar in the east, Ormoc City in the west, Calbayog City, Samar and Biliran province to the north. This makes traveling around the region easy and accessible. I took a van bound for Naval and paid 130 pesos. It’s good to know that the roads here are all well-paved. Everything went well and comfortable. I was actually sleeping during the first half of the trip and just woke up before we exit the province of Leyte. Only concern though is that, there are some parts that the van would traverse on winding roads. It would be a problem if you have motion sickness, so better take some meds before going or better yet, just take a nap while on the road. Hehehe!!! Nonetheless, don't miss the stunning views outside. I bet you wouldn't feel any dizzines as you enjoy scenic and meandering terrain with views of soaring mountains along the way. After about 2 hours, we finally reached the Leyte – Biliran boundary. The impressive Biliran Bridge connecting Biliran island to mainland Leyte greeted us. Imposing and striking bridges are common in this part of the country, just like the bridges built during the Marcos era. The bridge crosses the narrow 100-meter Biliran Channel where small ships pass by for a shorter route to Cebu and the rest of the Visayas. From there, It only took us about 30-45 minutes to reach Naval, the capital municipality of Biliran. I got off at the van terminal in Naval town proper and walked a few meters to my chosen hostel. Biliran might be a small province but it has a lot to offer. It’s an ideal destination for uncrowded tourist spots and natural resources and for a relaxing weekend adventure. Welcome to the "undiscovered paradise" of Biliran! 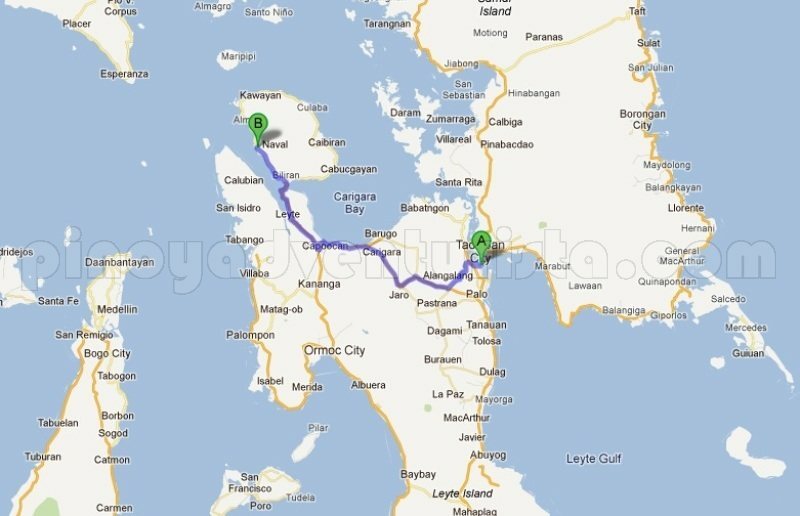 Posted on October 11, 2011 Categories: Biliran , Trip ko 'to..
great post and great site!! keep it up! u make pinoys proud of being one. . . I still regret not being able to pay for a booked flight to this region. I was (and still am) really keen exploring Biliran. Hope I get the chance when we're back in Pinas. been planning to go to biliran early this year pa. di matuloy tuloy. next year talagang pupuntahan ko na itong Biliran. Dami din kasing waterfalls dito and goal ko ring akyatin ang Tres Marias dyan. Huwaaa!~ Sayang naman! Hindi ko nabalitaan na pupunta ka dito sa Naval. Tsk tsk. Sana sinamahan kita! 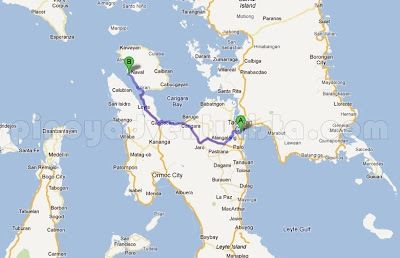 Very informative post about going to Biliran, I hope I can visit it too in the near future. Thank you for visiting my blog and being interested about it. May god bless you more! @Lance - salamat Lance! kaw din naman, gala ka din ng gala... hehehe!